If there's one thing I've learned these past few months about business, it's that strategy is fundamental to growth. When I first started Elle & Company, I was a 23-year old graphic designer who aspired to work full-time for myself. Even though I grew up in an entrepreneurial household, my dad's business venture and mine are very different. I didn't know the first thing about pricing, taxes, and marketing, and I was convinced that the passion I had for design would be enough. I saw many other women starting creative businesses with some success, and I found myself looking to them for how I should be running my business. I had no business plan, no goals, no strategy. So inevitably, I failed miserably. My husband, Jake, just so happens to be very business-minded, and last summer he started sitting down and brainstorming with me about what I could be doing differently with Elle & Company. Because he was far removed from the creative industry that I had been consumed with, he had a fresh perspective with new ideas (one of which was to pour more time and transparency into the blog). He also pushed me to set higher goals for my business; goals that, at first, were far beyond my comfort zone. But ever since he brought in strategy - that missing component that led to failure earlier in my business - we've seen growth. And growth is a good thing, especially in business. Like pricing, it's one of those topics that isn't often talked about, but it's crucial to keeping a business afloat. While Instagram might make a business look glamorous, looks can be deceiving. 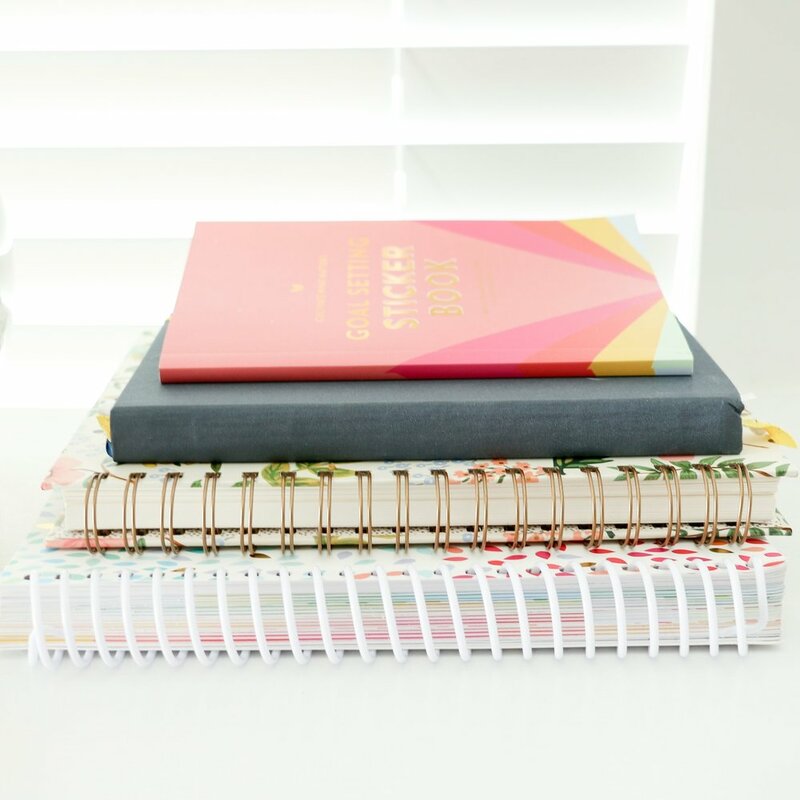 There's a lot of pressure, time, energy, and expense involved, and I would be doing you a disservice if I didn't discuss these things on the blog, too. It's okay to make money. It's okay to set big goals. And it's okay to pursue growth. That's where this goal for 100,000 unique blog followers comes in. It isn't an ego-booster and I'm definitely not hating on having a small tribe of loyal followers; it's business strategy. I want Elle & Company to grow. I would love to bring on a team of people and provide jobs that would allow them to pursue what they love. 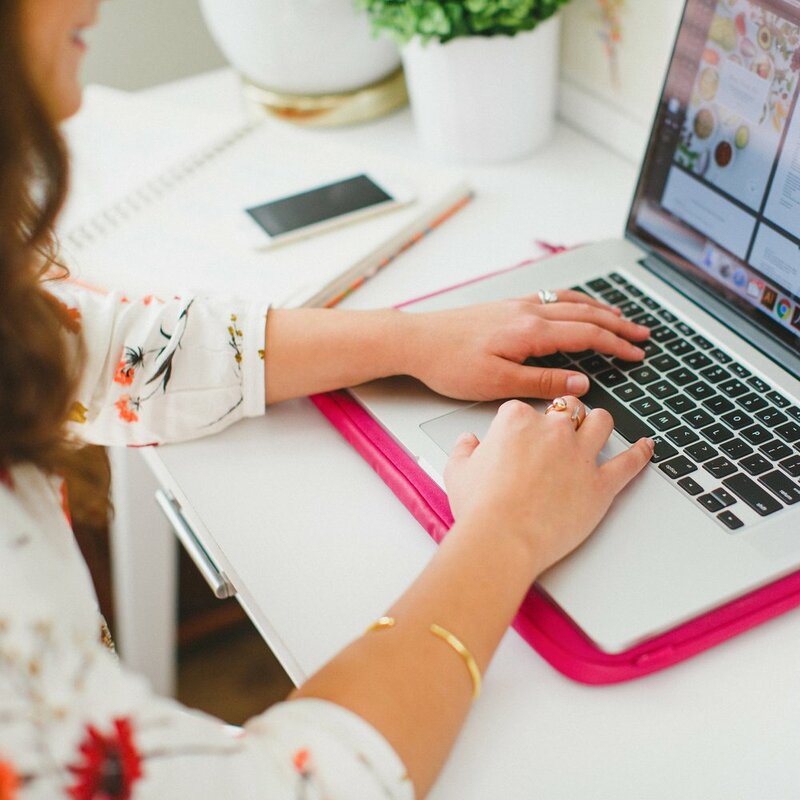 I would love to serve people in a greater way and continue in my dream of making Elle & Company a design, business, and blogging resource. And in order to make that happen, I have to set goals. I can't disclose all my big goals just yet, but I can tell you that striving to bring in 100,000 unique blog visitors by the end of this year is an action step. Having a larger audience will help set us up to succeed in a bigger venture down the road. And we hope that by letting you in our journey through weekly updates in the newsletter, you can get a behind-the-scenes look at what we're doing to grow our audience. We also hope that our transparency encourages you to set big goals and start strategizing for your business, as well. Because while passion gets you started, strategy keeps you going. So with that in mind, here's a look at how we measured up to our 100k goal during the month of May. And in case you missed it, here are the recaps for March and April. While our unique blog visitor count increased slightly from April, our pageviews showed the greatest amount of growth. We may not have reached our goal, but we're encouraged to see that the blog has been growing organically without any big features or viral pins. I continue to be amazed at how much sharing the Elle & Company journey has benefited our business and our audience. The engagement we received on the posts about my 2-week design process, income, and client homework was more than we ever expected, and that's been a trend among our more transparent posts. I had been wanting to write a post on my 2-week design process ever since it started back in January, and I was excited to share this behind-the-scenes look a few weeks ago. I knew it would stir some conversation because my method isn't often seen in the design industry, but I was pleasantly surprised by all of the supportive feedback. I think posts are easier and more fun to write when you've been anticipating them for a while, and this post was one of my personal favorites. We're going after our previous goal of 60,000 unique visitors and 150,000 pageviews. What are your predictions? Do you think we'll make it? Do you want a closer look at what we're doing each week to grow our audience and benefit our readers? We share our strategies and analytics in our weekly newsletter, and we would love for you to follow along with our journey!